Every-time I hear One Republic’s “I Lived“, I can’t help but cry. Which is awkward when it comes over the radio and you’re in the car with friends. Or traveling via public transport surrounded by strangers. But with everything I’ve accomplished in life, every obstacle I’ve proved could be overcome, every dream I’ve made a reality, and everything I have managed to achieve, if one song were to speak to me it would be this. I, I did it all. With every broken bone, I swear I lived. And while traveling through Alaska recently in June, there came a night where we genuinely thought our moment had come. It wasn’t until that night, where we faced the possibility of not waking up the next morning, that I realized I wasn’t afraid of death. And that’s largely due to travel. Sure, there’s still a lot more of the world to see, and while I’m not overly keen to leave this world having died young, I’ve realized that I wouldn’t feel ripped off it came. Upon reflection, if death came knocking on my door, I could say with absolute honesty “I swear I’ve lived”. I owned every second that this world could give. I was camped outside the hotel lobby of a secluded cabin retreat in the Alaskan woods when Mike suddenly appeared, sprinting up the drive. Reception had closed at 8, however their WiFi (only available in the lobby) extended to the porch, so as they locked up I set up a work station to catch up on my blog. “The Carbon Monoxide detector is going off” Mike said with a certain sense of worry. While I had been blogging, he had been hiking, so the cabin, featuring only gas appliances, had been vacant for at least 5 hours. And Carbon Monoxide – an odorless, tasteless, colorless gas that can render a person unconscious in an instant, and take their life in a second, this is not something you want to f*&^ with. Whole families have been silently taken out by this before. Secluded cabin living in Alaska. Secluded cabin living in Alaska. The view from our porch. With the owner of the retreat living above reception, thankfully we were able to have the cabin inspected. After having changed the batteries in the detector the beeping did stop. Though it was strange, he said, as the batteries which were in there were brand new, so they shouldn’t have been at fault. With no other rooms available, the owner gave the cabin the OK, and then left. Though something had set the detector off. And even though we were fairly certain the hotel staff wouldn’t have left us there if they had believed there to be any danger, the feeling that we just might not wake up in the morning plagued us throughout the night. Everything in the cabin was gas, and if there was actually a leak, what’s to say we wouldn’t inhale the deadly fumes? Carbon monoxide is scary as all hell. There is no smell, taste and it’s completely invisible. So how do you react when an alarm goes off and this situation is potentially happening to you? The alarms are there for a reason – really the only way to warn you the environment is unsafe. So when you’re not sure whether the detector malfunctioned at first when it went off, or it was malfunctioning by appearing to work but not making a noise, it’s difficult to know what to do. What’s to say we wouldn’t inhale the deadly fumes? We sat and stared at each other across the table in silence, attempting to laugh off our panic. We opened all the windows in the place to air it. I ran to the cabin next door and woke them up at close to midnight to borrow their detector for 20 minutes to make sure it too didn’t go off. It didn’t. We finally settled on there being no other choice but to go to sleep, and, granted if we didn’t wake up the next morning, at least there wouldn’t have been any pain. We laughed about it, because of course “nothing like that would happen to us”, but we were both secretly sick to our stomache with that niggling feeling that there’s probably a 5% chance that we genuinely might just not wake up. It seemed ridiculous at the time, and I can laugh about it now, but I genuinely composed a note on my laptop with emergency numbers and a few final words should the unlikely actually come to pass. After having taken as many paranoid precautions as we possibly could, we decided it was time to actually sleep. Even though we were fairly certain we were majorly over-reacting, there was still that feeling that there was a slim, albeit definitely possible, chance that this was our last sleep. And I was strangely at peace with knowing that in my mind, to this point, I can say I’ve lived. I was strangely at peace with knowing that in my mind, to this point, I can say I’ve lived. Making the most out of our time in Alaska at Matanuska Glacier. By now we’ve completed a number of posts on the importance of traveling with international travel medical insurance. But we’ve yet to talk about repatriation of remains. And honestly, it’s not something people like to talk about. It’s not something people even like to think about. But lying in bed that night in Alaska, I did start to think about it. At first I wondered how long it would take the hotel staff to find us if we weren’t to wake up. Then I wondered what the hell would happen next. I certainly didn’t want to be buried in Alaska or left for the bears, and obviously the costs and logistics of preparing and returning a set of remains to Australia would end up being an additional burden on my family. Repatriation of remains is a benefit of insurance which is pretty straight forward. This benefit allows individuals to prepare for the worst and is designed to cover the costs associated with returning your body to your home country if you were to pass away. The costs and logistics of preparing and returning a set of remains to Australia would end up being an additional burden on my family. Repatriation of remains means your insurance company will pay for the transportation of your body back to your home country. Luckily, unlike terrorism coverage, the benefit for repatriation of remains will usually already be included in your travel insurance plan. Though as with every other post we’ve composed on insurance to date, I urge you to ALWAYS read the fine print of your policy, and make sure you’re aware of the benefits and exclusions which are associated with your policy. This type of benefit generally will not cover the transportation of anyone accompanying the body, nor will it cover burial or funeral expenses. We’re really pushing this point hard, that everyone should be traveling with international medical coverage. It’s important to remember that we’re not invincible while traveling abroad, and the stupidest thing you can ever do is to think it will never happen to you. We interviewed a frequent adventure traveler who broke his back on a pleasure cruise through the Amazon, and a woman who was fire twirling in Thailand when she set herself alight. One traveler lost his vision on a river cruise of the Rhine, and another found herself receiving stitches after an Asian air-conditioning unit decided to attack. Insurance which covers the costs and logistics of preparing and returning your remains to your home country. There are many, many reasons you should purchase health insurance when traveling abroad, the most obvious being to protect yourself should disaster strike, though we’re reaching a stage where international travel medical coverage is becoming a necessity, and depending on the country you travel to, you may not even have a choice. Read: Which Countries Won’t Let You In Without Health Insurance. The question of how important it is to obtain repatriation of remains insurance coverage is answered every time someone travels. Though nobody wishes to be critically injured during their stay, what could be a frightening situation can be smoothed over when the situation has been prepared for ahead of time by traveling proper insurance. If you haven’t yet purchased international travel health insurance, do yourself a favor and make sure you do. We go through Timothy Jennings at Individual Health for insurance with GeoBlue – a worldwide insurer who offer the most complete set of benefits and services in the industry (including repatriation of remains). Read: What You Should Look For When Buying International Health Insurance. Why We Trust #GeoBlue. For more information on insurance with GeoBlue contact Tim Jennings at sales@individualhealth.com or click for a free quote. Photo credits: Featured photo by NASA Goddard Space Flight Center. Gas Lamp by David Keyzer. Blackhawk Helicopter by U.S. Army Alaska (USARAK). Hear about new posts on Facebook: Please click “like”! 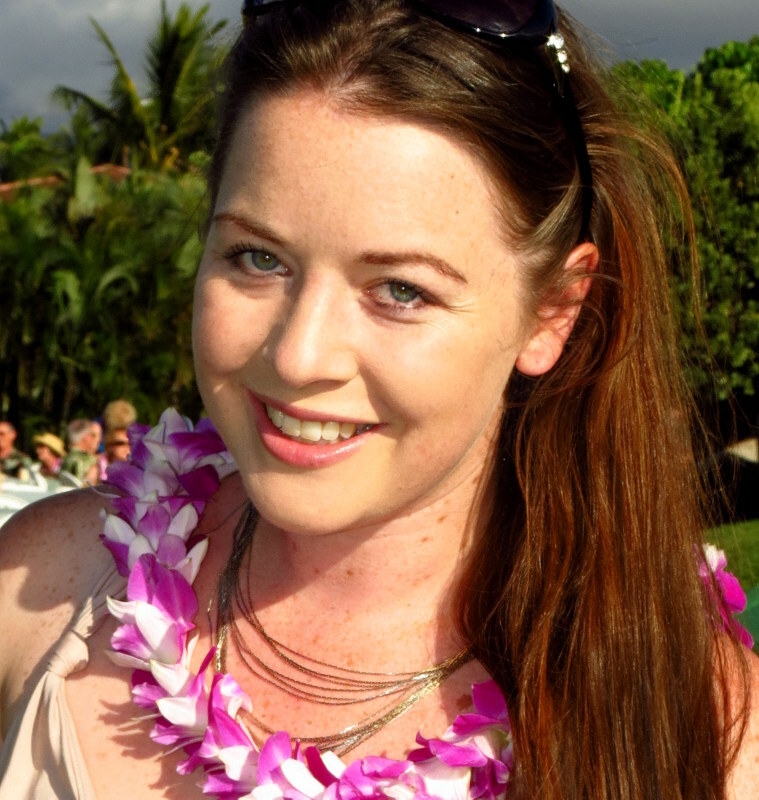 Megan is an Australian Journalist who has been travelling and blogging since 2007, with the main aim of inspiring others to embark on their own worldwide adventure. Her husband Mike is an American travel photographer, and together they have made the world their home. Committed to bringing you the best in adventure travel from all around the globe, there is no mountain too high, and no fete too extreme! They haven’t been everywhere, but it’s on their list. Follow their journey on Facebook, Twitter, YouTube, Pinterest and Instagram. I always have health insurance especially for the US; with various insurance plans and providing I’m not out of the country for more than 15 days I’m good. It’s the longer trips that require the planning re health insurance. Carbon monxide is a very scary way to go. Kind of nice to wake up the next morning and appreciate being alive. Absolutely for the US Leigh – glad to hear you’re covered; especially there! We were reading the other day that the average cost of venom for treating a snakebite could be up to $150,000!!!! So insurance is definitely a must. I can’t get over how much they charge for healthcare in the US! And it definitely was nice to wake up that next morning! Appreciative we were! Of course travel insurance is so important for this reason too. Until something happens we don´t think about the mundane paperwork. Absolutely – and granted, our accommodation was top notch, thankfully they actually had a detector considering the whole place was full of gas appliances. Crazy scary though and it really did hit home about having the back up of insurance to cover you through. Travel medical insurance is a must. Too many foreign countries and your home insurance are not compatible! Absolutely agree with you Roy, but the sad thing is too many people assume that their domestic coverage will cover them while abroad, or they just don’t want to foot the up front charge for insurance. Though if you decide insurance isn’t in your budget then travel shouldn’t be either in my opinion! I had this feeling I might not make it through – when travelling through a now Taliban area in Pakistan, bus rides through sniper controlled areas, etc… Like you, I kept thinking if this is my time, so be it. Now that I have a family of my own, I need to think about the repercussions of my choices. Good food for thought in your post. Wow, sorry to hear you’ve had a similar experience Jodi – it’s never a fun thing to go through. Though I do think something like this definitely gives you a perspective on life that you didn’t have beforehand. So glad you pulled through!! Absolutely agree that once you’re responsible for others and have people who rely on you it’s much more important to be aware of the choices we make. Any trip we take outside of Europe, we take a health/travel insurance, most especially when we travel to the US. With recent nightmarish stories in the papers, we surely shouldn’t go anywhere without. So glad to hear you never travel without insurance Michael – it really can be quite costly if you do!! We’ve also been noting a rise in the news stories of nightmarish travel experiences, especially in the US, where someone travels, gets into an accident, and is lumped with ridiculous health and medical fees. It’s just really never even worth the risk. Megan this is so crazy! I am really glad to hear you guys made it out ok. I think about this a lot while traveling, and I’m not going to lie, I haven’t yet arrived at the ability to be able to stare death in the face. The point about traveler’s insurance is a good one. I purchased mine for the first time when heading to Peru to hike the Inca Trail, and I can’t believe I haven’t been doing it more frequently. Thanks for sharing what I’m sure was a difficult story to write! Thanks for your thoughtful comment Holly, yes, thankfully we’re both totally alright!! Glad to hear you haven’t found yourself in a similar situation before – it’s not the best scenario to face!! I don’t think you were overacting. In fact if it was I think I would have been right out of there! I have this strong paranoia when it comes to carbon monoxide! Luckily they are fitted with detectors thought- that’s not something you see everywhere and would definitely give you some piece of mind. Usually so long as you don’t have gas appliances on at night you’ll be fine. Hence why the reason I turn off my heating just before going to bed is only half to save money and the other half for safety! Thanks Britt :) If the resort had had any other rooms vacant we would have been standing our ground for a new one. Though sadly didn’t turn out to be the case. Not sure what we would have done if the alarm hadn’t stopped and we weren’t given the all clear. And absolutely – I give the resort full credit for having functioning detectors. That’s actually a really great idea re turning the heating off at night, for both safety and your budget. Will be doing the same from here on out!! Awesome. Very very helpful. Thanks. Let us know if you have any further questions about the insurance side of things. Otherwise Tim Jennings is always available with a stack of info as well if you shoot him an email. It can be anything that reminds us of our mortality.-Thankfully on this occasion it was a flase alarm – but it pays to be prepared. Absolutely it does – preparation is everything and it can save your life; or where that fails save your family’s funds. I’ve read so many stories online where the family has had to mortgage their home or sell everything they have to get the body of a beloved back home. Not a pretty subject, but not something I want to have happen to me. Holy wow that’s scary Dariece!! I can’t believe the owners of the condo’s didn’t have detectors installed!! Amazing that the guy had one of his own, I’m so glad for you. Jeepers!! Glad though that you’ve since begun traveling the world – I really have recognized the importance of living every day to the full…as utterly cliche as that sounds!! Sadly, a couple in Australia did die recently of carbon monoxide poisoning. 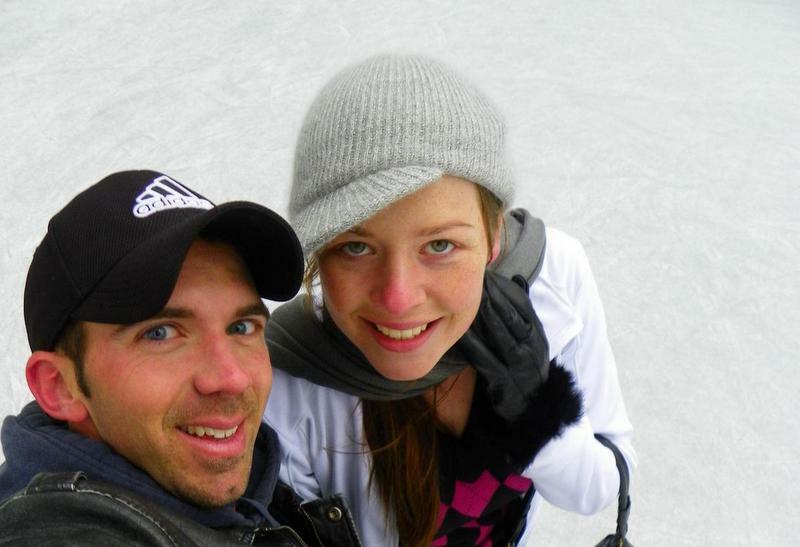 They were holidaying in the Blue Mountains and died as a result of a faulty heater being used to keep their cabin warm. The cabin, unusually for Australia, was airtight. They literally went to sleep and didn’t wake up so maybe you weren’t being paranoid at all – just sensibly cautious. :( I hadn’t heard about this. But I can guarantee you one thing, I’ll never be sleeping in an airtight cabin again. Even that night, we were more than happy to add extra blankets to the bed and open all of the windows up wide so that we could get as much air circulating throughout the place as possible. It’s just so scary and so, so sad. Holy Meg! That was scary. I am glad you could laugh about it but really… I had never realised that Carbon Monoxide doesn’t have a smell. We have gas cookers here in Italy but whenever we forget the gas on, we immediately realise as it smells really strong! That why it’s really so crazy – totally invisible, and the only way to tell is via those detectors. So I’m very, very glad that the resort cabins were properly fitted! I don’t think you overreacted at all over the carbon monoxide detector. It was smart that you opened the windows as a precaution! I’ve seen news programs on tv where people have died in hotel rooms….do a google search and you’ll see tons of articles. Scary stuff Meg! Oh absolutely – opening all of the windows was the first thing we did to try and circulate the air and air the place out. Starting to hear of more and more people affected by this, I guess now that I’m more aware after having had such a close call. Really is scary stuff!! Best to always be prepared and aware!!! So glad you can reach the same conclusion too Els :) As you said, not exactly a cheerful way to spend the day, but it’s weirdly reassuring knowing that you’re happy with how you’ve lived your life to date. Like if this was all the time I was to have, at least I’ve used it well! I think the worst thing would be getting to the end and having regrets. Never want to regret not having done something. Definitely not something that you want to deal with! We’ve had a lot of mishaps in our travels through the years, but nothing as worrisome as that. A good reminder that we aren’t immortal! Might have to start looking into the benefits I can get while traveling in the future. Hey Jocelyn :) I think that’s the biggest reminder out of the whole ordeal – that we’re not immortal. I know we like to think we’re invincible and that our time is in no way near due, though really, anything could happen to any one of us at any moment. Not exactly cheery to think about, but thinking things like this out in advance and taking the necessary precautions really could save a lot in the long run. Health insurance, trip insurance, car insurance–whatever protection I might need, I have. Sure, it’s money that could be spent on travel itself, but “things happen,” so I’d rather be prepared for the unexpected. Absolutely Beverly – your attitude is right on there with mine. The thing is, if we think about travel insurance and give more value to our short-term budget than to being properly insured, if something then does happen, you may find that you’ll never have the budget to travel again. So it really is the best long term investment you can ever make. Health and medical costs nowadays are just too insane to take that risk. Wow, what an incredible entry. Thanks for sharing. It is quite scary thing to think about the possibility of not coming home from a trip… I’m super paranoid, so I insure myself and review my policies before taking off and would agree that it is better to be proactive. Thanks for sharing your experience, it’s very educational and for bringing awareness to travel safety, insurance and carbon monoxide :) Things can happen and usually when you aren’t expecting it. So glad to hear you insure yourself before each trip, and to hear that you review your policies before taking off – more people need to take a lead from your book! Reading through the fine print is one of the best things you could possibly do – it’s one thing to have insurance, but if you don’t understand when you’re covered and when you’re not, might be in for some heft financial surprises should the unexpected come to pass! What a scary experience, Meg. I’m glad nothing happened to you! I never travel without travel insurance, and we recently added it permanently to our insurance package. It’s much cheaper this day, and now I never have to worry about catching dengue or breaking a leg on my trips. Its always good to have travel insurance that covers your needs while away. Absolutely Anne – one of the most essential aspects of travel. I truly don’t believe anyone should be without it; my perspective is if you can’t afford insurance, you shouldn’t be able to afford the travel. Megan, I can only imagine how scared you were feeling. As per Lyn above we recently had a case where a couple died in the Blue Mountains which is very unusual in Australia but it can obviously happen anywhere. And when you are staying in accommodation which is run by someone else there is a high level of trust that you need to have that the venue has been properly maintained. I have never heard of carbon monoxide detectors before, but they sound like a great tool to have handy. I always purchase travel insurance – I don’t think anyone can afford to travel without it. Hi Anne – so tragic to hear about the couple in the Blue Mountains :( A few different people in the comments above seem to have had close calls with it around the place as well, so sounds like it really can strike anywhere. Scary stuff. Glad to hear you also purchase travel insurance for each trip – it’s true, I really don’t think anyone can afford to travel without it. One of the most essential safety nets to have. Great Article! Yesterday my husband came out of the room saying it smelled weird. I said it was probably farts. Turns out that I had left the gas in range on without a flame for about five hours. If i hadn’t gone to get some cheetos maybe we wouldn’t have woken up either! Thanks Orana :) So glad that nothing came of your situation, I think we’ve all left the stove on without realizing once or twice!! Very glad that you caught it before anything did happen though. Scary stuff!! There needs to be a beeper on the stove if you leave it on for like too long, like we have with cars which make noise if you turn the car off but leave the lights on :D! That would be brill! I never in a million would have thought about purchasing this until reading your post! That’s a terrible feeling! I really enjoy how you wrapped that song into it. It caught my attention right away. Thanks for a great and informative read! I’m in love with your pictures! And psyched that you also love the song – it’s my favorite! Fell in love with it as soon as it came on the radio for the first time. Makes me cry every time!! Thanks Bobbi for stopping by – let us know if you have any further Q’s about covering yourself with insurance. Happy travels & travel safe! That sounds like a scary situation to be in. But, I love what you said about not being scared to die, because you know you lived life to the fullest. I also had a close call on one of my travels, and it makes you appreciate the next day(s) so much more. Sorry to hear about your close call too Natalie – though so very glad that you made it through :) I think that’s probably the best thing which came out of this whole scary scenario – that realization that, hey, I really have been living life to the fullest. I probably won’t stop anytime soon!! Happy travels – wishing you all the best for your future days; may there be many of them!! THat’s incredibly scary! I remember watching this show where they talked about a hotel room they thought was haunted because two sets of people had died mysteriously. It turns out that carbon monoxide was the culprit. I’m so glad you lived to tell this story and it’s a good lesson for others who may face the same situation. It’s crazy how many stories are coming out of the woodwork from people who’ve heard of situations where this has actually claimed people’s lives. Really does make us think that we weren’t being that paranoid after all!! All we can do now is to spread as much awareness as possible so it hopefully doesn’t continue to wipe people out. I think the biggest thing is making sure you have a working detector if you’re staying in an airtight or enclosed cabin setting. Absolutely just not worth the risk. We’re both so happy that you continue to put out such great content emphasising IN BIG CAPITAL LETTERS just how important proper travel insurance is. There was a large blogger recently who put out an article stating that they don’t travel with insurance etc and it just made us so angry. Good insurance is as essential to your travel plans as a valid passport! Thanks Andrew and Emily, I’m so glad you’ve been enjoying the health insurance series. And seriously??!! That advice came from a large scale blogger? Damn! You would think that they would know so much better than that, especially since they undoubtedly travel often. If you don’t have travel insurance you shouldn’t be traveling at all in my opinion! Absolutely not worth the risk. What a scary experience to have felt this way! Travel insurance is definitely something I think people should have when they go any place. You always want to have a back-up plan in case the unexpected happens. Absolutely Lauren – it’s the only safety net you’ve got in a medical or health situation abroad. Especially if you travel somewhere like the US – you’ll be paying even just a short hospital visit off for the remainder of your life!! Crazy how many stories are coming out of the woodwork from people who have heard of situations where carbon monoxide has killed. It’s a very scary gas, and something you should never underestimate or decide to shrug off. I’m just glad we made it through!! You weren’t overreacting at all. You had no idea how responsible–or not–the property owners were, and the possibility of carbon monoxide poisoning isn’t something to blow off. I hadn’t thought about repatriation of remains insurance before, but you bring up a good point. Thanks Connie – it does make me feel a lot less silly about how we reacted now hearing everyone’s comments and looking back. I really didn’t know too much about it at the time, though I did know that it could be very deadly very quickly, so definitely not something to shrug off. What a terrifying experience! I’d have trouble sleeping a wink if I was in that situation. You bring up very good points that most people (including me) don’t want to think about. I think things like travel medical insurance are usually put on the back burner. I’m so glad we have purchased travel insurance while traveling, it has already save of some cash in medical reimbursements (nothing life-threatening!). More serious injuries are a scary thought. Also, one think to think about too having a plan in place to assist family/loved ones back home should they get an awful phone call about serious injuries if they’re the emergency contact. Glad that the post resonated with you Heather – I totally understand why it’s not something people like to think about, though I have learned that it’s always best to be proactive, especially when not having taken out a safety net like proper insurance could leave you in such bad shape. Sorry to hear you’ve had to actually use yours, though glad that it was there for you when you did need it! Thats the thing, even a small injury which we don’t think much of can be totally expensive and completely ruin a trip. So more serious injuries really are a horrible thought!! And yes, I’ve read stories online of families who have had to mortgage their homes and sell their stuff just to get the body of their loved one back. I don’t want that happening to me. So insurance all the way!! Wow that sounds so scary! I don’t know what I would do in that situation. I know what it’s like to get injured and not have travel insurance. I was hit by a motorbike 2 years ago and was seriously injured and still have to face hospital trips to this day – all without travel insurance because no one will insure me now! I don’t think anyone really knows what they would do until you’re there facing it. It was definitely a crazy experience to go through. I wish you all the best, and I truly hope your worst days from this incident are behind you. You should email Tim at Individual Health to ask about insurance with GeoBlue – I’m not 100% on their extent of coverage for pre exisiting injuries or illnesses, but Tim will be able to send through all of the info for you. Hopefully we can get you sorted with something basic at least. Such a scary experience! Glad you guys are ok! It’s scary to think about actually needing those benefits, but it’s always good to be prepared–thanks for bringing this up! Glad the post was thought provoking Jenna :) It really was a scary experience, though if one good thing could come out of it it would be highlighting the importance of thinking about these things for other travelers. Because without thinking about these things we find ourselves completely unprepared if the situation does strike. This was a chilling story but also a real reminder that we have to take precaution and make the best provisions we can! I’m so happy that you both were fine, I probably wouldn’t have been able to sleep. Thank you for making this a teachable moment as opposed to just another travel story. Brilliant writing as well. I’m so glad this post resonated with you as a teachable moment Francesca, because if one good thing could come out of it, it would be the ability to highlight this to other travelers and maybe make people stop and really think. The more people we can make realize that insurance is as essential as your passport the better! It’s seriously just one of the MOST important things. Glad you enjoyed the post! So scary – and yes, carbon monoxide is something to worry about! I’m glad you’re safe. Thanks Jessie – yes, thankfully we both made it through ok! Glad to hear you’re always set with travel insurance Kate :) These kind of situations really do make you appreciate being alive the next morning and being safe. Hi Megan! I think it’s always important to have on mind that the health can go wrong. I have some experience when travelling to developing countries, for example in Nigeria public transport is non existent, so most of people travel on scooter. even the taxi is just a scooter. I never had too much of trust, but after some days there was no other way than to also use it. It was scary as I noticed so many accidents happening. Since then I always have travel insurance. I think it’s important to travel safely, but you never know. Hi Veronika! I agree with you – it’s not something we like to think about, but we do have to be prepared if our health does go wrong overseas, because it’s infinitely more stressful and difficult when you’re in a foreign country, so it’s best to have the insurance and the peace of mind to know that you’re covered and taken care of should anything happen. I’m glad you lived through Nigerian public transport! Noted for if we ever have the chance to travel there! Excellent piece and sobering thoughts. No matter your age or experience it’s worth checking out your will status and getting travel insurance every time you leave the country. I walk into Mexico often and make sure my coverage is intact – it’s a day trip! Thanks for the illuminating adventure. Glad you enjoyed it Elaine – definitely some sobering thoughts, but it does come down to needing the humility to realize we’re not invincible no matter what our age. Walking into Mexico sounds like a fun day trip! We did a drive down to San Diego last year and were right next to the Mexican border – we didn’t have the time to go in but I thought it would have made for a great detour! Also the rental car prohibited leaving the States, so hopefully we’ll head back and maybe we can leave the car parked and just walk in :) Thanks for the tip! This is such a great article Megan! One EVERYONE should read! Your experience, which thankfully ended with no harm done is something that no one thinks about. They think about hang-gliding accidents or being bitten by sharks or other “extreme” causes of death. But i would bet that these “not-so-extreme” ones are much more common! Thank you for sharing your experience; it was so well told i felt like i was in the room with you! Glad you enjoyed it Lindsay – very thankful that this turned out to be a teaching point instead of one of those stories you read in the news after something goes terribly wrong. It’s definitely surprising just how common these less extreme causes of death are, though because they’re not as shocking as something like a shark attack, they get reported less often, meaning people really don’t think that there’s a threat.